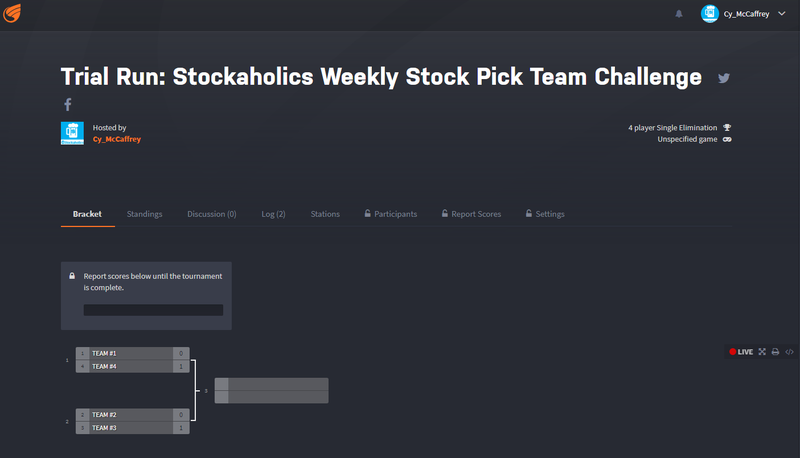 I'll try to have a more organized team challenge with a playoff format going in a couple of weeks. First 2 weeks, team C & D are tie -> C and D play 3rd weeks, team A takes break? 4th week (final), if team A wins -> wins whole games? ^^ yup, however it's a best of 5 series, so actually it would be first team to win the first 3 times over the other team advances to the final round. so, if either team concludes their series earlier than the other, than that team would have to wait it out until the other series has also concluded. example - say team #1 beats team #4 (3-0), however team #2 and team #3 are still undecided at (2-1) or tied at (2-2), team #1 would have to wait until the conclusion of the team #2 vs. team #3 series has a winner...with whoever wins the first 3 times advances. as for the final round, that one is also going to be a best of 5 series, so which ever team wins the first 3 times over the other would be crowned the champion! hope that made sense, but if not let me know. Just a quick change here for TEAM #4. Due to the absence (or no pick) from @anotherdevilsadvocate this week, I will instead be paring @snuffalchewy with @emmett kelly. 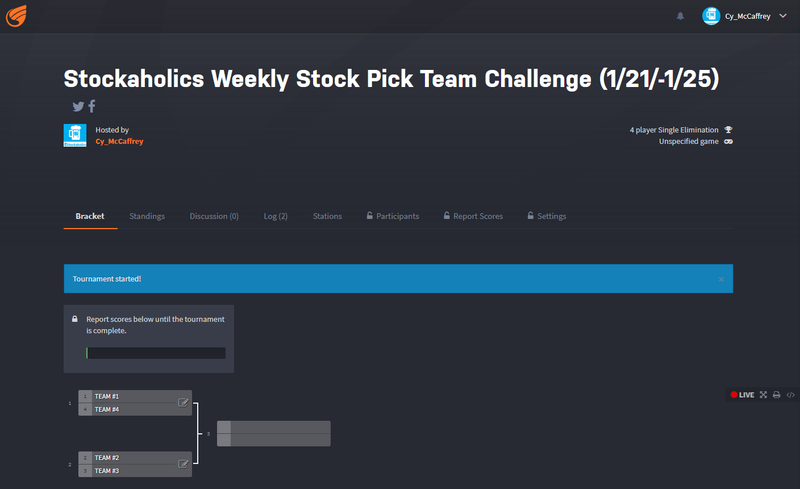 Also, since quite a few members did not submit their picks via the form links here, I'll just copy picks from our regular weekly contest. 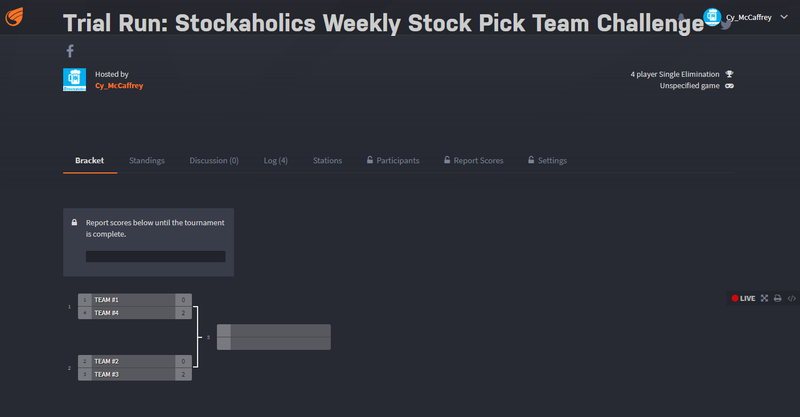 Congratulations to this week's stock picking team challenge winners, TEAM #4 & TEAM #3! TEAM #4 & TEAM #3 open up with a 1-0 series lead in this best of 5 series weekly match-up this week! Here are the forms and spreadsheet links for Week #2! Remember that all picks must be in by Monday's market open! As was just posted on the league challenge thread, looks like there were no weekly picks from @snuffalchewy this week, so as per the rules, we will just carry over his last week's picks over to this week's so there are no empty picks. Can we close positions in this challenge? If so close EAT 41.43 11:17 ET Thanks! Please Close X 22.76 @ 2:47 ET - Thanks! To save myself some time here so I don't have to do these over the weekends, I'm going to post the following week's match-ups (forms and spreadsheets) right now and then just bump this post on Friday night or Saturday morning or whenever I update all of our other contests. Here are the forms and spreadsheet links for Week #3! Remember that all picks must be in by Monday's market open! TEAM #4 & TEAM #3 now have a 2-0 series lead in this best of 5 weekly series match-up with both teams having a chance to wrap up their series next week to head to the finals! Just a reminder that the Week #3 Google Forms and spredsheet links have been posted on Post #15 here in case you guys are looking around for them!